Baltimore police are looking for Antonio Wright, a suspect in a fatal firebombing. 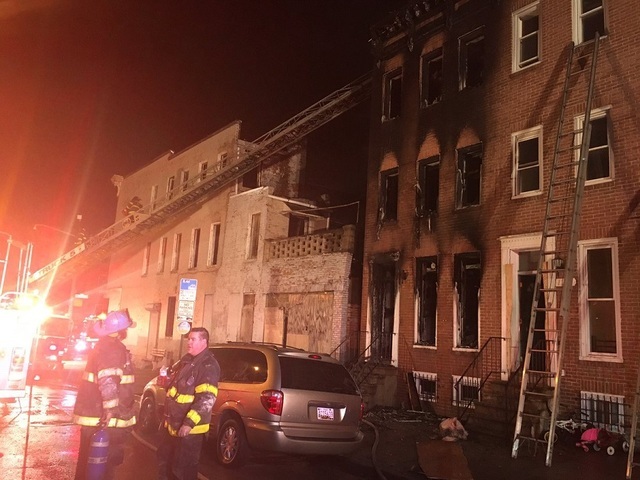 Wright kicked in the home’s door on Greenmount Avenue and threw two Molotov cocktails inside causing the fire around 5 a.m. as stated by WBALTV. Two teenagers, Shiheem Sholto, 19, and Tyrone James, 17, were killed. This is a care of being at the wrong place at the wrong time as the two victims do not live in that building. They were not the intended target as the police claim the intended target was not home and survived a shooting Thursday. Six others were injured in the fire. The firebombing was caught all on surveillance video.